Canadian-born and Tokyo-based YouTube content creator who vlogs around the city with friends about the Japanese lifestyle. She's also worked as a translator for a Japanese company. She was about 13 years old when she first started studying Japanese. 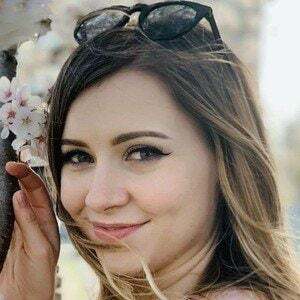 Her main channel has brought in over 600,000 subscribers, and her second channel, Sharmander, has earned another 250,000 subscribers. She took regular trips to Japan in her teens and early 20s before settling in Japan after the massive March 11, 2011 earthquake struck Tokyo. She'd later settle in Korea. She has collaborated with fellow YouTuber Megan Bowen.